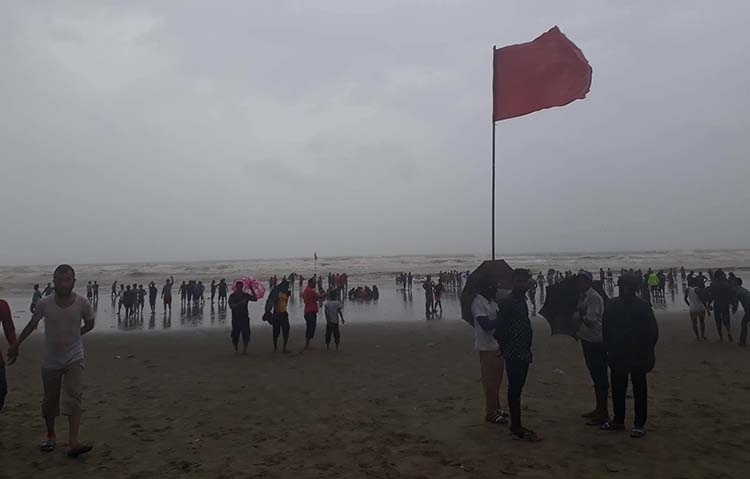 With steep pressure gradient persists over the North Bay and adjoining areas under influence of a depression, the maritime ports of Chattogram, Cox’s Bazar, Mongla and Payra have been advised to keep hoisting local cautionary signal number three. “The depression over East-central Bay and adjoining areas, centred at 9am today about 700 kms southwest of Chattogram Port, 655 kms southwest of Cox’s Bazar Port, 580 kms south-southwest of Mongla Port and 575 kms south- southwest of Payra Port, moved west-northwestwards and lies over West-central Bay and adjoining areas,” said a special weather bulletin on Thursday. It is likely to intensify further and move in a northwesterly direction, the bulletin said, adding that maximum sustained wind speed within 44 kms of the depression centre is about 40 kph, rising to 50 kph in gusts or squalls. Sea will remain moderate near the depression centre. Squally weather is likely to affect the maritime ports, the North Bay and adjoining coastal areas of the country. All fishing boats and trawlers over the North Bay have been advised to remain close to the coast and proceed with caution till further notice. They are also advised not to venture into the deep sea.